Alex Tremulis Sarantos was born in January 1914 in Chicago, Illinois. Contrary to the other designers of his time, he was not an engineer or an industrial designer, or even a handyman talent. Yet, at 19, he was hired at Auburn-Cord-Duesenberg. And he participated in the creation of 810 in 1935. E.L. Cord had an innate sense of marketing. For the launch of the 810, he hired Sonja Henie as a woman sandwich. The Olympic skater was just full conversion in the cinema. Sonja Henie are able to do anything, the 810 was launched when its development was not completed, resulting in a catastrophic reliability. 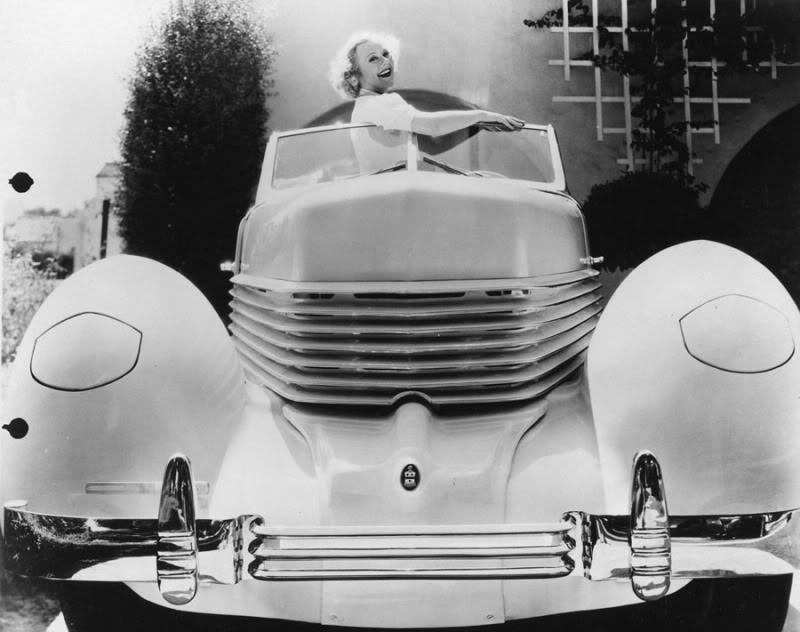 Auburn-Cord-Duesenberg did not need it during the economic crisis. EL Cord try to rectify the situation with the 812, but without success. The dark band in 1937, while Tremulis newly appointed head of design. He rebounded with American Bantam, 1940. Tremulis remodel their model, based on the Austin Seven. But Bantam was already in bad shape. Roy Evans, CEO, tries to convert to light military vehicles through its lobbying, the U.S. military creates a tender for what became the Jeep. Finally, the U.S. military plans book off-road Ford Bantam and Willys. Creates Willys MB, produced by Ford and Bantam quietly closes its doors. 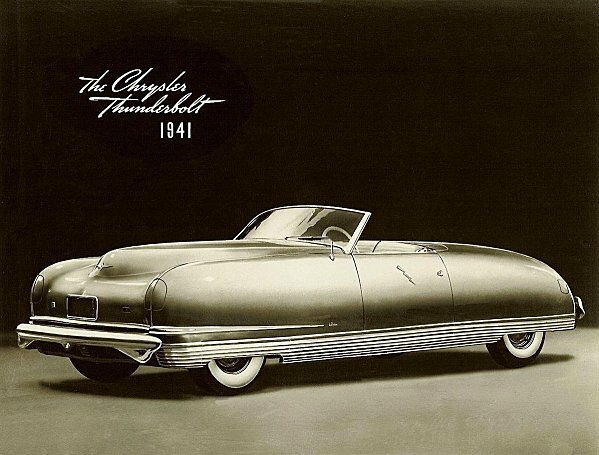 The Thunderbolt concept was born in 1939, a reflection and discussion between Alex Tremulis Ralph Roberts for Chrysler LeBaron. 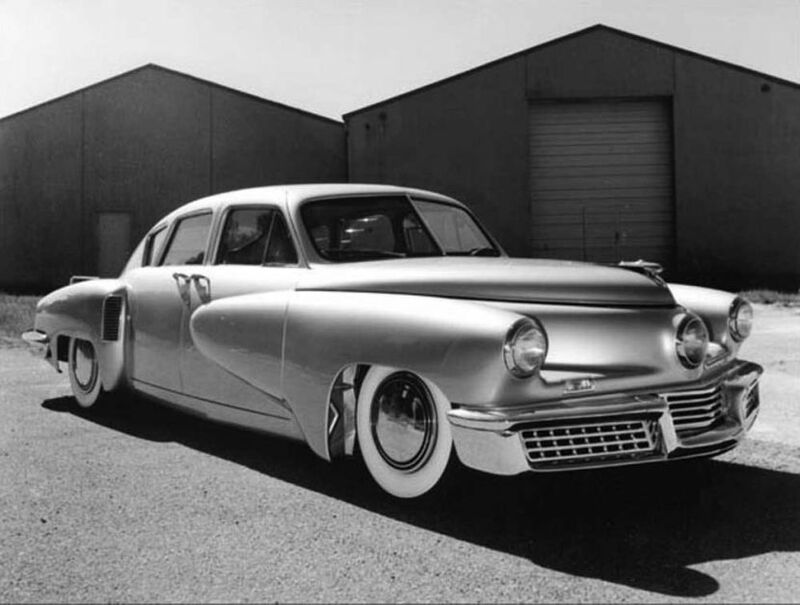 At the time, Tremulis was a promising young designer working at Briggs Manufacturing, the parent company of the body LeBaron, who later draw the short-lived but legendary Tucker Torpedo. Note that this is a coupe-convertible early. After the attack on Pearl Harbor, he was drafted into the U.S. Air Force. There draw helicopters and mounted on two floors launchers stratospheric aircraft. At the end of the war, he was recruited by Preston Tucker, who wants to become a builder. Tucker and produce fifty Torpedo, between 1948 and 1950. What was the exact role of Tremulis in Tucker? 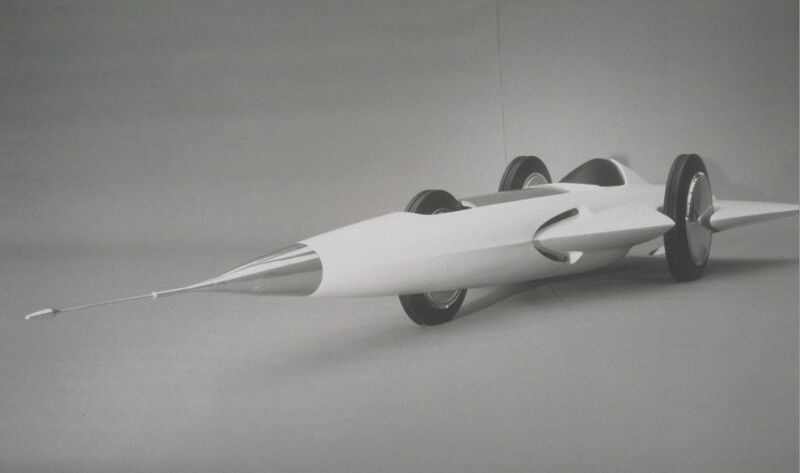 The Torpedo excited many designers of the time and in addition to the official team (led by Tremulis), Tucker received almost volunteer support from several designers ... Even if they thought the company was a scam ! 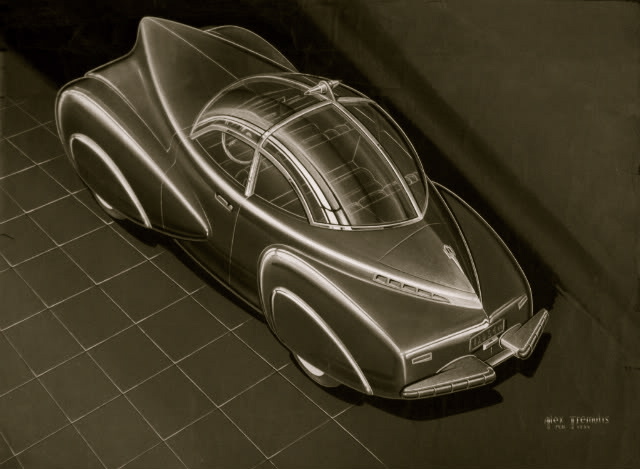 Tremulis was therefore especially the man who synthesized the ideas of others and turned a mass of drawings plans for a production car. The brand collapsed in a few months. Preston Tucker will see the stranglehold of the "big three" of Detroit. In fact, Tucker was underfunded and ubiquitous CEO was at best incompetent. An investigation by the SEC (the policeman of the American market) for fraud caused investors to flee. Tremulis was then unemployed again. July 7, 1947, a mysterious object crashed in Roswell. Many see an alien aircraft. 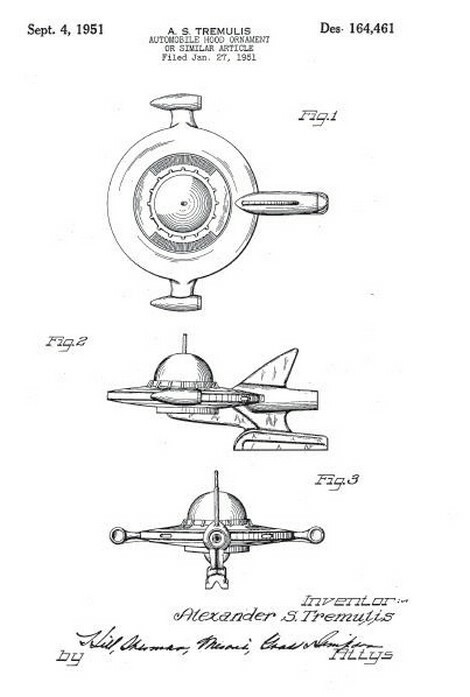 Tremulis great designer imagines an aircraft, its design offers several newspapers. Newspapers and magazines publish his drawing. But the designers of science fiction had a bad reputation at the time (it was a shameful job will try to pockets of holes.) Add the self Tremulis side and you understand why it was not well received by his peers. 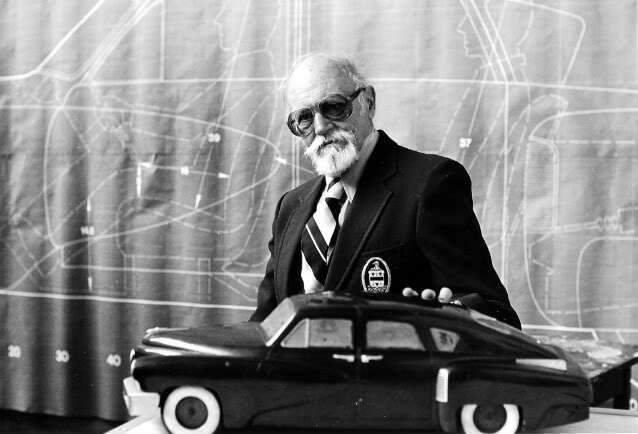 At Studebaker, Virgil Exner slams the door in his face in the proper sense of the word ! 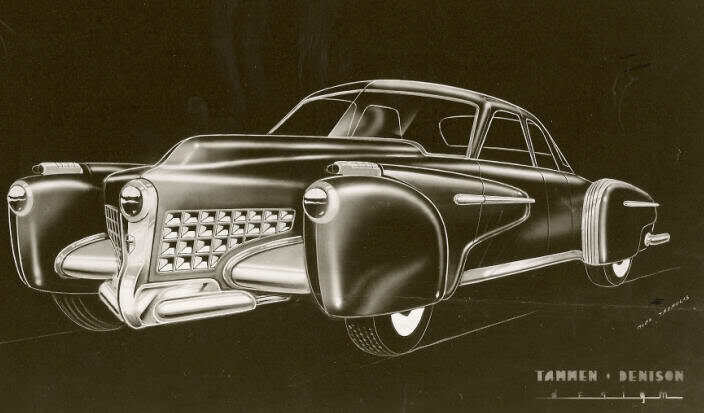 Around 1950, Tremulis trying to ride the wave by selling an emblem to put on the hood of cars. He was then hired by Kaiser-Frazer. Henry J. Kaiser (who built the "Liberty Ship" on the current site of the speedway Fontana) and Joseph Frazer (who took over Graham-Paige) wanted to become builders. Unlike Tucker, they had pragmatic. 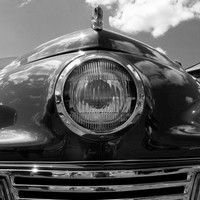 In 1946, the "Big Three" of Detroit were just out their 1942 models. So there was room for a newcomer. The wind turns to 1949. While Kaiser has invested heavily to increase production, competition finally released new models and unsold accumulate. 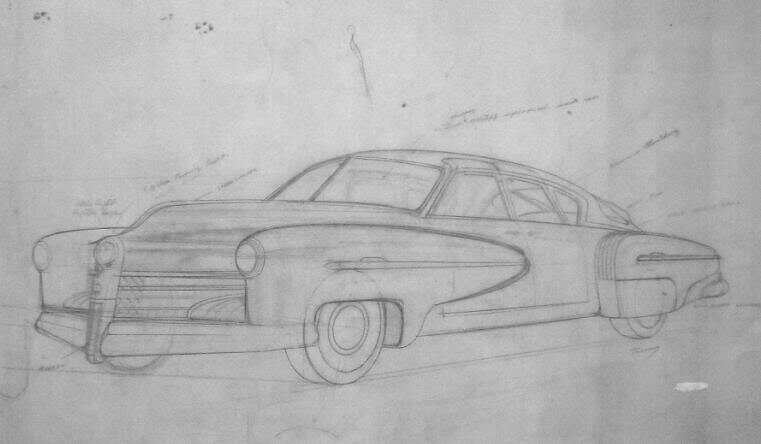 Henry J. Kaiser wants to raise with a compact, the Henry J.Tremulis the draw and it is the only production car whose paternity is not contested, it was released in 1952. Kaiser was creative, sales in Sears department stores, car kits shipped from Mitsubishi ... But it is not enough. The Henry J was barely cheaper than a base sedan. Kaizer-Frazer went bankrupt in 1955. 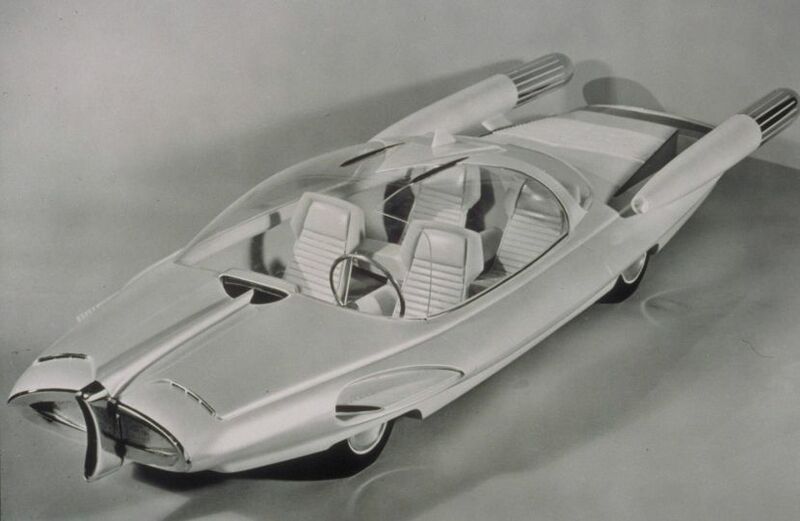 In 1955, Alex joined Tremulis ford. 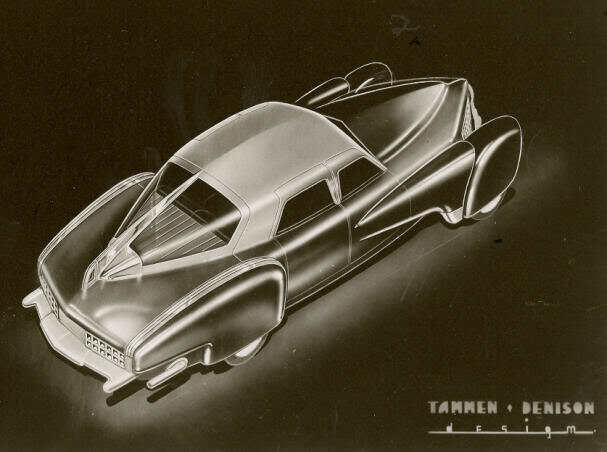 The first realization concept Tosca, then there must design the car of the year 2000. This will give the X-2000, a model in clay. Andy Saunders, living in Britain Australian turn it into reality in 1999. 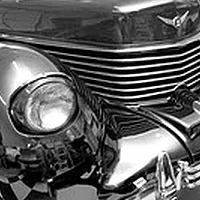 However, the shape of the grille X-2000 certainly predicted before especially if the Edsel. 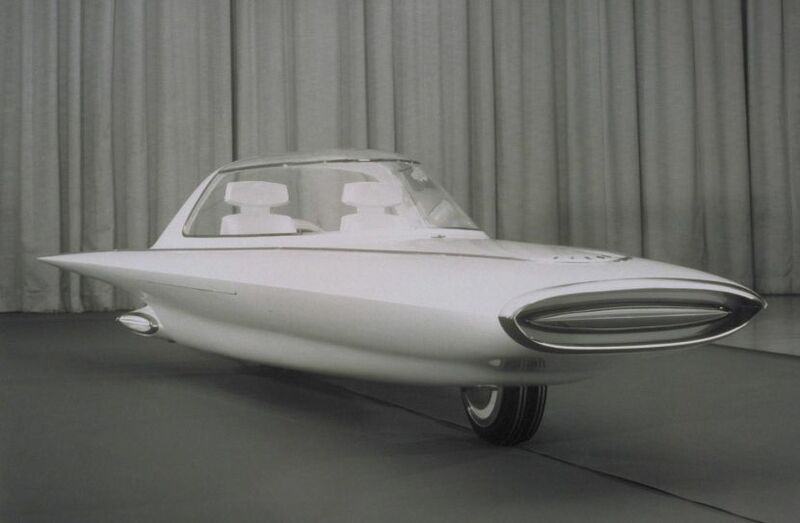 Tremulis a new idea, a car with two wheels equipped with a gyroscope to ensure its stability. 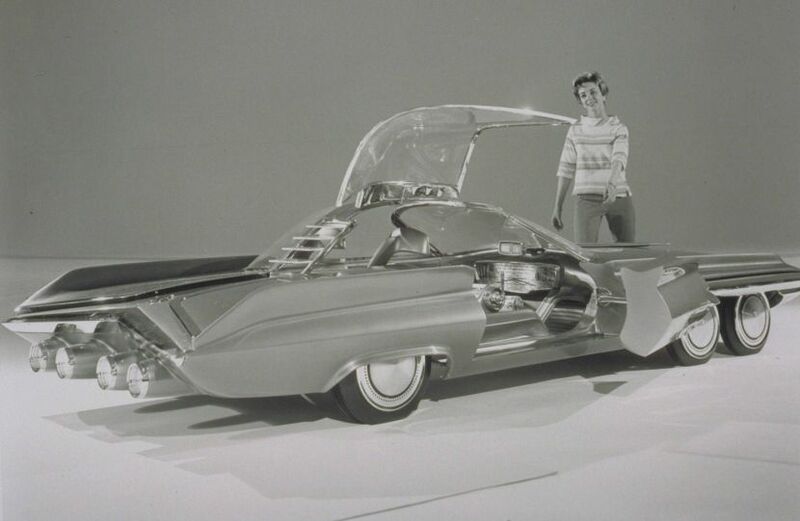 This will be the prototype 1961 Ford Gyron. Then he started his own business and an investor wants to produce Gyron. He founded the Gyro Transport System, which has the Gyro X-1 in 1967. 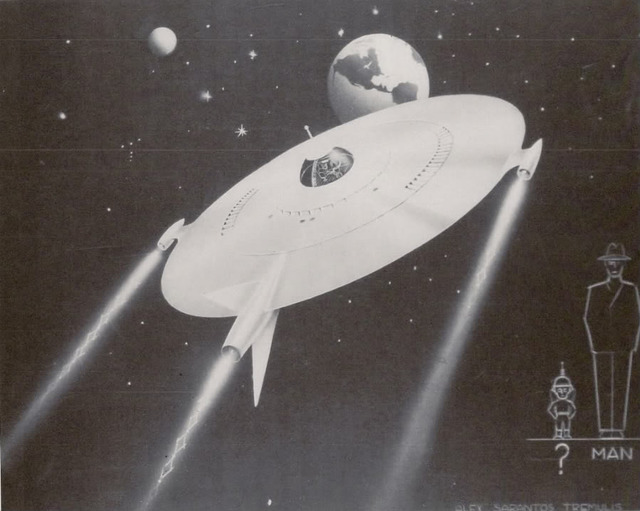 The idea fizzled, but Tremulis piloted an X-1 record on a salt lake. 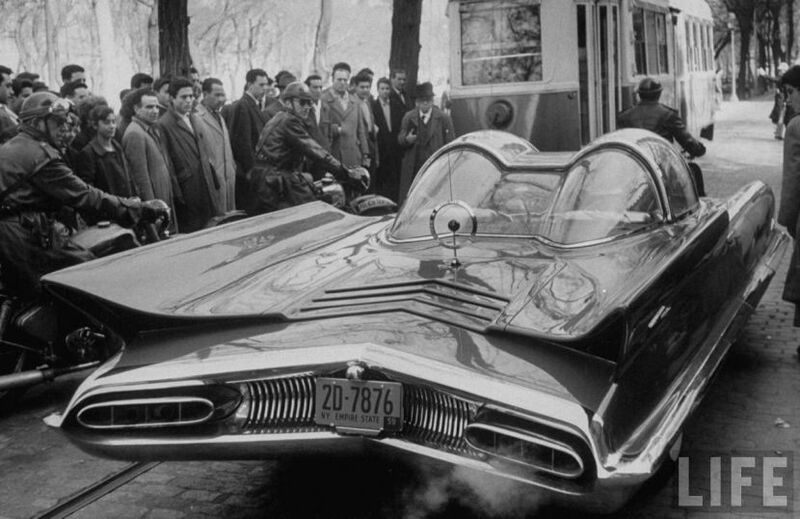 In 1970, he was hired to beat a speed record with an RV! Travoy markets a camper equipped with a V8 Oldsmobile Toronado (which is a front-wheel drive.) The idea was to advertise for Travoy. At the first attempt, almost 100 miles (160km / h.) He thought he could reach 190km / h, but Travoy lost interest in the project. What is certain is that in 1980 he shows his car project with gyroscope. 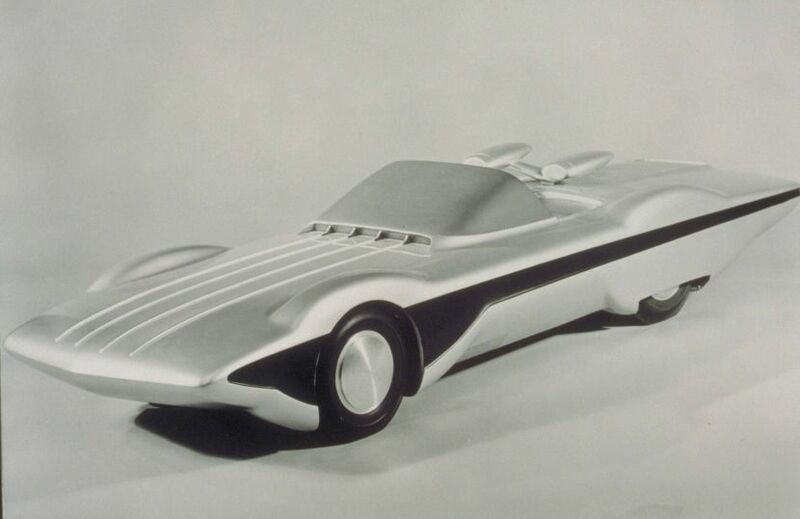 The X-100 Subaru of America is tested on the oval of the city of Ontario, she traveled 100 miles (160Km) with one gallon of gasoline. In the late '80s, he was hired as a consultant and witness by Francis Ford Coppola film Tucker. The opportunity for him to rewrite history in his favor. This is probably thanks to this film that emerged from anonymity and was finally honored. Greatly reduced after a heart attack, he died in December 1991. 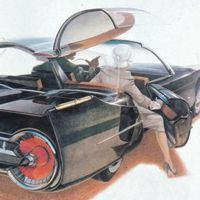 Credits Photos : Ford Motor Company & LIFE Magazine.